In October, our kids will be stopping, dropping, and rolling for Fire Safety Month. I am lucky to have the opportunity to introduce to you Old 104 Rides Again by Carrie Steinweg - a perfect book for Fire Safety Month. Old 104 is a veteran fire truck. After years of valiant service, Old 104 has been replaced by faster, fancier firetrucks. However, he still serves a purpose--coming out for special occasions and teaching kids during Fire Safety Month. On one of Old 104's outings, he is called into service once more and rushes firemen to a nearby fire. Old 104 Rides Again is a great children's book for Fire Safety Month. I think through how seriously Old 104 takes his duties, children can see how important it is to learn about fire safety and prevention. Additionally, the way the firemen and firetrucks come together to save those in need shows the bravery and comradery amongst the men and women that are on the front lines keeping us safe. Furthermore, the message about an outdated firetruck still serving purpose--whether it be for marching in a parade, helping teach children, or saving the day--teaches children about the importance that we all have---young or old, big or small. The colorful illustrations by Javier Durate really help the story jump from the page. The story is well-paced for reading to children. Old 104 Rides Again is truly adorable and a great read for kids! Carrie Steinweg will be doing a reading of her book at the Lansing Public Library in Lansing, IL on October 4 at 6:30PM. You can register for the event at this link. Carrie Steinweg is also the author of Images of America: Lansing, Illinois, Images of America: South Holland, Illinois, and Mom Moments: A Compilation of Columns from the Northwest Indiana Times. 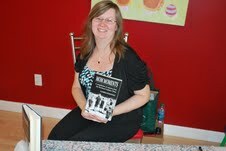 She is a columnist for the Northwest Indiana Times and is an author for several blogs including one of my favorites, Chicago Foodie Sisters. 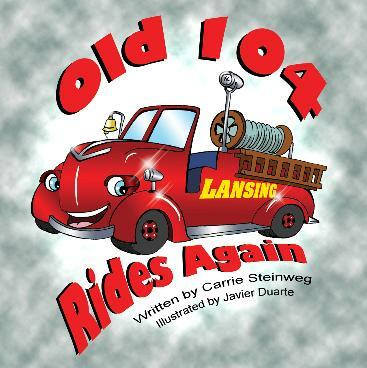 If you are interested in purchasing Old 104 Rides Again, it is available online at Barnes&Noble and Amazon. **Disclosure: I received a copy of Old 104 Rides Again in order to make an accurate review. I did not receive any compensation. All opinions are 100% my own.